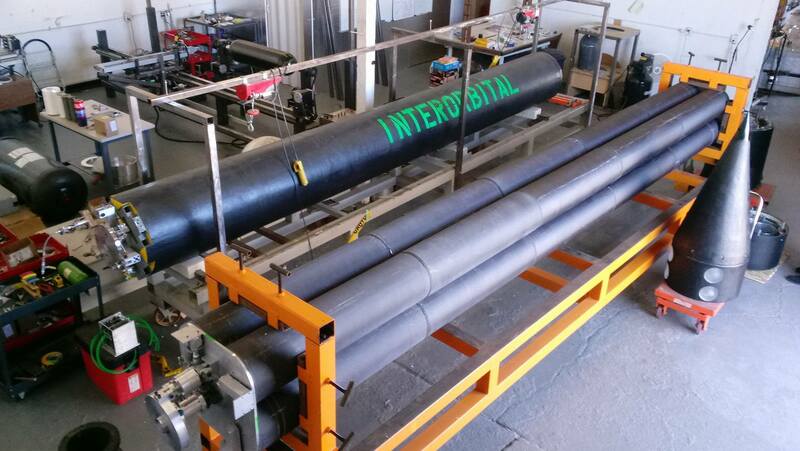 Assembly of Interorbital Systems' new Common Propulsion Module (CPM) 2.0 marks a shift in the company's rocket technology towards a more easily constructed and assembled launch vehicle. CPM 2.0 is composed of four tanks containing the rocket's storable propellants and pressurant gas. This regulated pressure-fed configuration was chosen to increase engine performance while reducing cost, complexity, and manufacturing time. The new design, in conjunction with IOS' new filament winder, will increase the manufacturing speed of IOS NEPTUNE rockets. The smallest orbital class NEPTUNE rocket variant available, the N1 US2, consists of a single CPM 2.0 and two liquid-fueled upper stages, and is capable of lifting 6.3 kg into a 310 km polar orbit. The N1 US2 will be the smallest and lowest-cost orbital launch vehicle in the world.